We live systemic crises. The economic, social, environmental and political crises are part of a whole. It is impossible to solve one of these crises without addressing the others. One-dimensional strategies are unable to solve these systemic crises and on the contrary sometimes aggravate it. 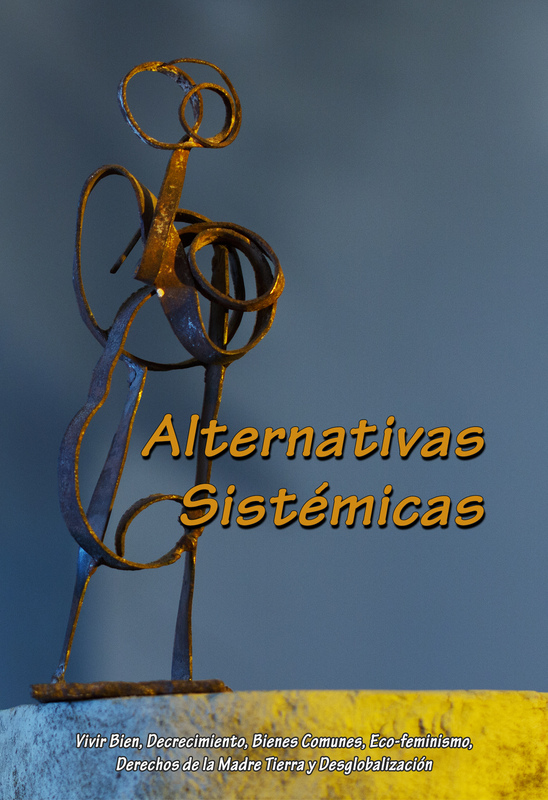 To build systemic alternatives it is necessary to forge strategies and proposals that at different levels confront capitalism, extractivism, productivism, patriarchy, plutocracy and anthropocentrism. Vivir Bien, the commons, degrowth, ecofeminism, the rights of Mother Earth, deglobalization and other proposals need to be complemented with one another to forge systemic alternatives. Complementarity means to complete each other. Articulate to forge a whole that responds to the complexity of the problem we are facing. Learn from the other visions, see through the postulates of the other proposals, discover the strengths of others, explore common weaknesses and gaps, and above all think about how to build something superior. The complementarity of visions do not seek to build a single alternative but to develop a fabric of multiple systemic alternatives. The main objective of these infographics is to promote a constructive and creative dialogue between these different visions.